Cross-country road trip: from Washington, D.C. to California. A few of my friends and I have jokingly discussed this before. It’d be expensive these days with gas prices as they are, but it would be an incredible experience! Get a book published: a dream of mine since middle school! With two projects in the works–although one has been on hiatus for a year or two–maybe it will happen! 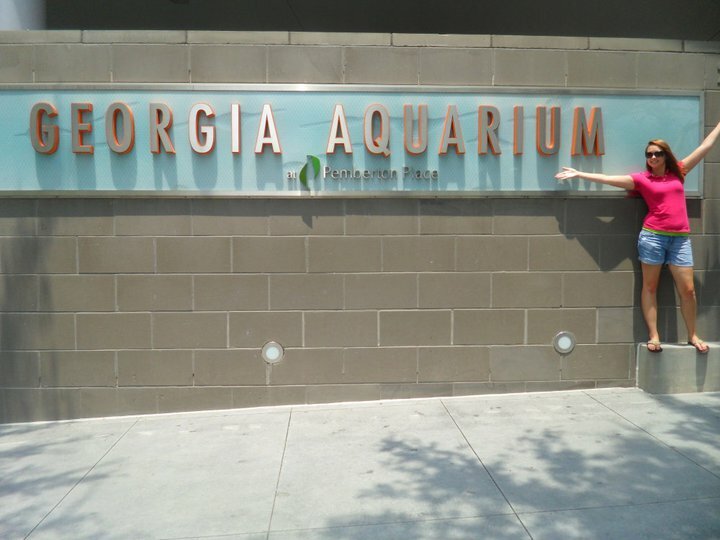 Visit one aquarium in each state (that has one): I can check Georgia, North Carolina, Florida, California, Maryland, and Tennessee off. 46 more to go! 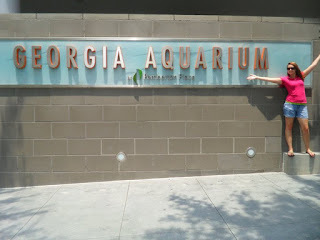 My favourite so far is the Georgia Aquarium, by a long shot. I’ve been there three times, and I’m amazed more and more after every visit. The penguin, otter, and whale shark exhibits are my favourites. 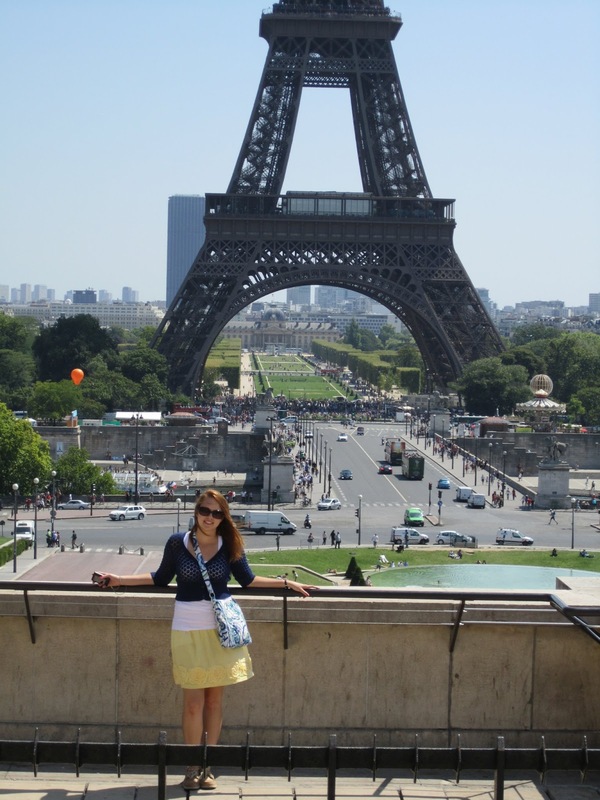 Study abroad: if all goes well, this will happen next summer. The English department at VT offers a six-week “London Calling” program every year, and I’m hoping to participate next year. I love London, and would go back in a heartbeat! Stand at the top of the Eiffel Tower: I could have done this last summer when we were in Paris, but being a claustrophobe, I wasn’t sure how I’d handle the crowd at the top. Still…maybe one day I’ll push my discomfort aside and do it. I bet the view is astounding. 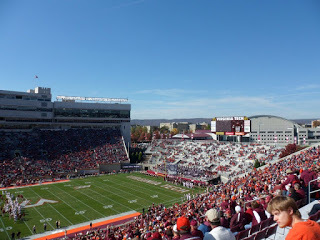 Go to grad school: right now, I’m planning to go directly to grad school after graduating from VT. I have a feeling that if I don’t do it immediately, I’ll never go back. I’ve got a list of schools and programs to look into: UNC, UGA, Tennessee, South Carolina, Elon, Clemson, and VT, of course. UGA has one of the best journalism schools in the country…a famous alum: Katie Couric! A noteworthy alum from VT: Earl Cox, creator of the Geico gecko! Zip line: Check! I did this in Alaska. It was the scariest, but most awesome and breath-taking thing I’ve ever done. Even though I’m not afraid of heights, it still took a world of courage for me to jump off the platform and go down the lines. I’d do it again, especially if I’m doing it somewhere where it’s warm, sunny, and not raining! Although the rain did make me zip a bit faster, which was fun, and challenging. See a bear up close and personal: Mom saw three when we were in Alaska. She backed out of zip lining due to her extreme susceptibility to motion sickness, and went on a nature hike instead. A mama bear and two cubs walked right in front of her and the tour guide, and she got to watch them play for a while. Lucky. Learn another language and be comfortable speaking it with natives: I took Spanish in high school, and was pretty good at it. 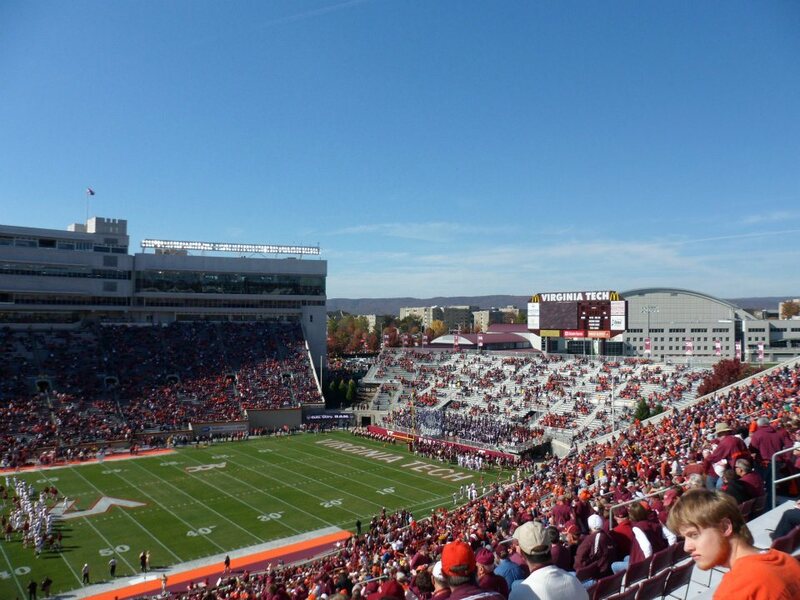 Unfortunately, I couldn’t continue taking classes at VT, so I’ve been out of it for a few years. I’m good at languages in general, though, so maybe I could pick it up again later…maybe it would come back easily and quickly. I’d love to learn other languages, too. German would be fun, as would Italian. …more to come, I’m sure! But that’s all for now. Remember when you had to call someone on a land-line phone? And hope you didn’t cut off their dial-up Internet? That’s barely an afterthought these days. Cell phones make it ten times easier to reach someone via a call or a text. In fact, more people choose to text than call, for any number of reasons. Before the texting wave hit, the medium of choice was instant messaging on the computer. Remember AIM? I believe that the increase in technological means of communication is leading to a decline in face-to-face talk, or at least making it more difficult. Here’s why: people become more comfortable behind a screen, forget how to make eye contact with others, and eventually find it difficult to carry on a real conversation. Some people say things in a text or computer message that they would never dream of telling someone face-to-face. It’s also easier to bend the truth this way, because people can’t notice your body language or pick up on physical cues. In many cases, sincerity is also lost. And that’s not even touching on the effects on language and writing skills. One of my biggest pet peeves is and always has been “chat speak”: using “u” in place of “you,” “ur” in place of “your/you’re,” and the multitude of other abbreviations that I have to decipher every time I see them. Originally, chat speak was created to reduce the cost of texting when each character had a cost attached to it. Hard to believe that’s how it started, isn’t it? Admittedly, I use “lol” or “idk” every now and then, but I try my level best not to let it or any of the other abbreviations work their ways into my daily vocabulary. Part of it is the nature of electronic communication, perhaps with the exception of email since it allows for lengthier messages. At one time, a text message on a cell phone could only contain so many characters…160, I believe. Twitter is the same way; tweets are limited to 140 characters (that’s my biggest annoyance with it…just 20 more characters, please?). Status updates on Facebook were once limited to 160 characters, but that has since expanded to well over 60,000. With restricted character limits, you’re almost forced to commit some terrible grammatical mistake just to fit it in the allotted space. Sentences are choppy, and often aren’t even complete sentences. Again, users become well-adjusted to these formats, and sometimes it overlaps into other situations when better and more professional writing and speaking skills should be used. With that being said–and I’m about to go all super communication-major on y’all–I cannot stress how essential it is to be good, solid communicators, in both written and verbal contexts. In fact, good communication skills, written and verbal, and the ability to think critically are top qualities that employers look for in hopeful applicants. You have to be able to communicate your ideas, thoughts, results, etc in a wholesome, clear, coherent manner so that everyone can understand what you want to say. You have to be comfortable doing that, too. Discomfort leads to a more difficult time communicating, which leads to all sorts of confusion and trouble down the road…but I digress. I hear it almost daily being a communication major, especially in public relations. Admittedly, it gets a little old, but that doesn’t take away the importance of the message. Part of the reason I’m studying communication is so I can help people become better communicators. I’ve said it before, but I really cannot stress it enough: be a good communicator! It will do so much for you! Our relationship with technology is of the love-hate variety. It’s convenient, but sometimes it gets away from us. Think about it: when was the last time you saw a non-data phone? Every time I pass by the Verizon stand at BJ’s, I look, and in the past year, I have not seen a “regular” cell phone. Don’t get me wrong, I love my iPhone to the moon and back, but when I think about how accessible it makes me, and how easy it is for me to find someone or something…it really makes me wonder: what’s next? And only time will tell. A year and a half ago, I would have had no idea what in the world that means, or the reference it’s making. If you said that to me, I would have cocked my head and looked at you like a confused puppy, wondering where the toy you just “threw” went. No, seriously. Until the spring of my freshman year of college, my Harry Potter knowledge was rather limited. I mean, I knew the basics: Harry is a wizard, his parents were killed by the bad guy, he was raised by his cruel and ignorant aunt, uncle, and cousin, and then a giant fuzzy-headed guy came and said, “Yer a wizard, Harry!” and whisked him off to Hogwarts, where he met a ginger, a smarty-pants, and a greasy-haired blonde kid with an attitude. When The Sorcerer’s Stone first came out and was gaining popularity, my mom bought it for me, and we tried to read it together. I was young–second grade, I think–and I didn’t quite grasp the whole magical/mystical thing, so I put it down and moved on to something else. I never picked it up again. It was one of those nights at college…none of us really wanted to go out and do anything, so we gathered in my dorm room to hang out for the night. One of my friends asked if she could turn on my TV, that a Harry Potter movie marathon was on ABC Family. I had seen bits and pieces of the films here and there throughout middle school and high school, but I was still the most out-of-the-Harry-loop in my group of friends by far. Somewhere in the course of that night’s conversation, we started discussing possible “group” Halloween costumes for the next year. After some careful debate, a Harry Potter theme was chosen, and I was to be Hermione. “Because, let’s face it, Kate is totally our Hermione,” my friend Katya so gracefully put it. I took that as my cue. If I was going to dress up as her, I might as well know what she’s like and learn about her character. That summer, while I was sick in bed with mono, I went back to Harry. I blew through books 1-4 rather quickly, but books 5-7 took me a bit longer than I anticipated; I blame being an English major and taking two literature classes per semester (at least this past year). I turned the final page of The Deathly Hallows this past weekend. Going into it, I knew some of what happens in the books and films. Most of my friends in high school were Harry Potter fanatics and often had deep discussions about it, and I caught whatever they talked about at lunch. That’s not to say I still wasn’t shocked at certain parts. But I digress. I never expected to enjoy those books as much as I did. I was completely blown away by J.K. Rowling’s craft and ability to keep me hooked for seven whole books. The characters, the story, the plots, the descriptions, the places…the everything just amazed me the more I read. I quickly understood why my friends told me I had to be Hermione for Halloween: she is my literary parallel! I’m not as bad as she can be, but I’m sure my friends would beg to differ. And yes, I have watched all of the films. I only allowed myself to watch a film once I had completed the accompanying book. “It’s levi-OH-sa, not levio-SA!” No joke, I totally pulled this in a lecture one day. The TA was talking about “evangelists” and pronounced it “evan-GEL-ists” instead of “e-VAN-gelists.” Without hesitation, I said to my two friends sitting with me, “it’s e-VAN-gelist, not evan-GEL-ists!” I was so glad they, and about six other people sitting around us, got the reference. When Harry and Ginny first meet for real in The Chamber of Secrets. The look on Ginny’s face in the film gets me every time. Also in The Chamber of Secrets, when Hermione falls victim to the basilisk, and Harry takes her hand in the hospital wing. Such a loving gesture. The Prisoner of Azkaban. Everything about it. This is my favourite book in the series, and my second favourite film (first favourite being Order of the Phoenix…more on that coming). I love how Rowling handled Sirius throughout the entire book, and then when everything comes out in the end, you just want to hug him. Or at least I did. Hermione smacking Draco in the face in book/film 3. It needed to be done, and if anyone was going to do it, I so wanted it to be Hermione. Luna Lovegood. She’s nuttier than a fruitcake, but I adore her and her innocence. Speaking of Sirius…his death in book 5. Oh my God. I had to put my book down and let it sink in. And I wanted Bellatrix Lestrange dead almost more than I wanted Dolores Umbridge dead. That…that passion for characters, whether it be loving them or hating them. I could only dream of being able to create that kind of attachment to a fictional figure. I loved to hate Umbridge, Bellatrix, and Draco Malfoy, and I loved to love Sirius, Lupin, and Snape. Dumbledore’s death in The Half-Blood Prince. This was one of those parts that I knew existed, but I didn’t know who did it. When I read those few sentences, when I saw the name of the man who spoke that curse…my eyes just dried and I couldn’t even formulate a thought. The romantic tension between Harry and Ginny. Enough said. In the beginning of Deathly Hallows Part 1, right after George’s ear is blown off…and Fred kneels by him and they start talking, and this exchange occurs: “How you feeling, Georgie?” “Saint-like.” “Come again?” “Saint-like. I’m holey.” “The whole wide world of ear-related humor, and you go for holey…that’s pathetic.” “I reckon I’m still better-looking than you.” Words cannot describe…the fact that George was so hurt, and could still be so lighthearted…stop me before I weep. Snape’s death. And then how Harry goes into the Pensieve and sees all the memories, and it all comes together. Again, enough said. I could go on for another hour writing some of my favourite scenes and moments, but I will stop there. I wouldn’t go so far as to call myself a fanatic. Maybe if I had read them when everyone else did…maybe if I had grown up reading the books, and felt “that” connection to the series…maybe I’d call myself a fanatic then. But I can say this: those books are brilliantly crafted, beautifully written, and wonderfully executed. I was sad to finish The Deathly Hallows, but I know their legacy will live on. I often wonder if, in a decade or two, students will be studying the Harry Potter books like we study Shakespeare, Austen, Orwell, and other classic British authors? Only time will tell. Oh, and I forgot to mention: I did end up dressing as Hermione for Halloween this year. And I made a dang good one, too! 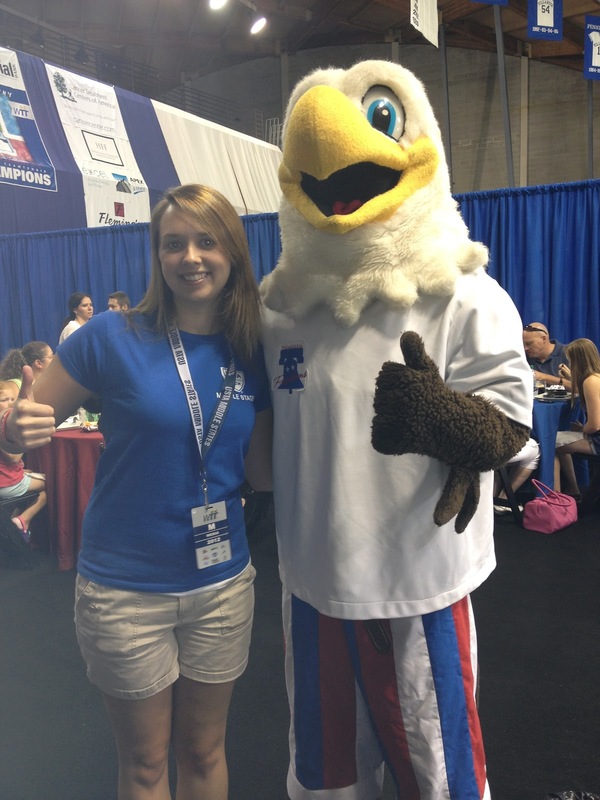 It’s mid-July, and my internship with the USTA Middle States is in full swing. Since beginning on May 30th, I have written several articles about local events and tournaments, worked at those events and tournaments, and I’ve conducted a handful of interviews, one of which being particularly important! I’ve got two longer, feature-type articles in the works, and am hoping to have those posted on the Middle States blog by the end of the summer. The first two events I worked were the Middle States Sectional Qualifying Tournament, and a day at the ResortQuest Pro Women’s Open. At the Sectional, players competed for a spot in the US Open National Qualifying Tournament, where they would then compete for a place in the qualifying draw of the US Open in New York. I worked the final day, so I got to see the championship matches for men’s singles, women’s singles, and mixed doubles. It was fantastic tennis, and I wish the victors the best of luck in the next round. The ResortQuest Pro Women’s Open is one of three USTA Pro Circuit events held by Middle States. This tournament was held at Sea Colony Tennis Resort down in Bethany Beach, Delaware. I was there for our USTA Member Appreciation Day, and got to see the semi-final matches. These events were both held back in the beginning of June, and we had not had any big events since then…until now. It’s World TeamTennis time! World TeamTennis was co-founded by Billie Jean King in 1974. There are eight teams across the nation: Philadelphia Freedoms, New York Sportimes, Kansas City Explorers, Springfield Lasers, Orange County Breakers, Sacramento Capitals, Washington Kastles, and Boston Lobsters. Each team features about five or six players from different tennis backgrounds and levels, but usually each team has at least one legend, one current star, and one rising star. Each match features a new and different headline player. Matches are a little different from what you normally see on tour. They’re played in sets, but it’s not a “best three of five”-type deal. Instead, a match is won based on total number of games won in the individual sets. The sets are scored as the first to five games by two, and each game is scored as the first player to four points, with no ad scoring. The WTT season isn’t that long; the Freedoms only have seven home matches in a span of about two and a half weeks. 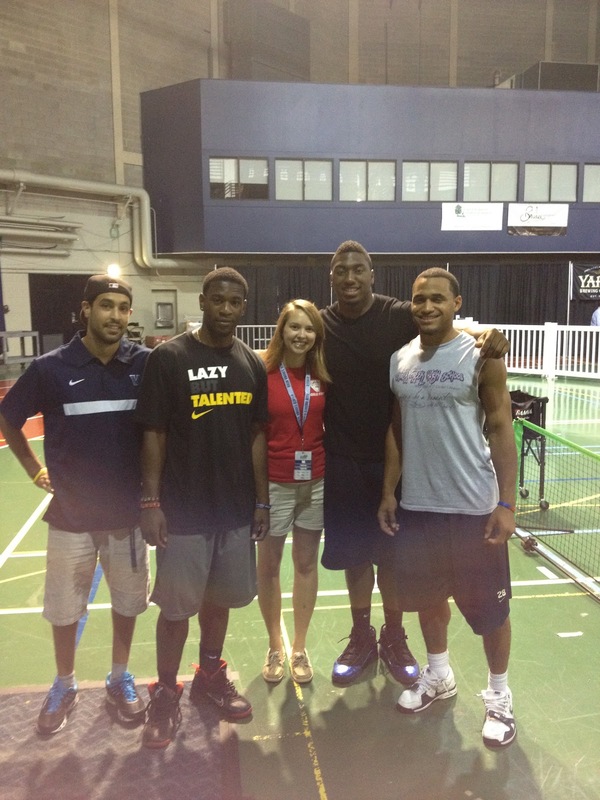 They’re held at the Pavilion at Villanova University, which is a pretty good venue for something like WTT. Tonight was the third match I worked, and it was definitely awesome, for several reasons! Next to the Middle States set-up was a table with representatives from Philadelphia’s MLS team, the Union, and a few of their players. They had some little giveaways, information, and the players were signing autographs and taking pictures. I don’t know a whole lot about soccer, but I still thought it would be neat to have autographs and a picture from players Brian Carroll and Chase Harrison. When I went up to their table and handed my phone to a Union rep to take the picture, Chase noticed the VT emblem on my phone case. “Hey, VT!” he said. “Yeah, I go there!” “Dude, no way! Hokies!” At this point, I was ecstatic; as many of y’all know, I love meeting Hokies anywhere and everywhere. Chase said he played soccer at VT when he was in college! He graduated in 2005, though, so he was there way before I was even thinking about college. I think I might go to a Union game one day, just to see a fellow Hokie play! Who wants to go with me? 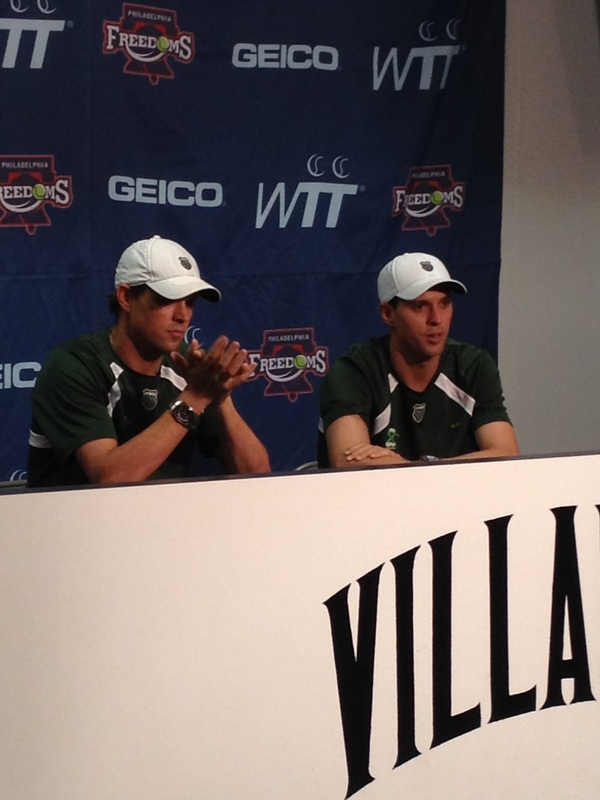 Tonight’s headline players were world-class doubles pair Bob and Mike Bryan for the Kansas City Explorers. They held a press conference before the match, and Drew, Kate, and I went for the last five or ten minutes of it. Those two guys are incredible on the court together. They’re just on the same brain wave or something…unbelievable. There are three more home matches for the Freedoms, and I’ll be at two of them. I can’t wait to see the match this Friday, which will feature legends John McEnroe and Martina Hingis for the New York Sportimes! But still…let’s go, Freedoms! At 2:30 this morning, after a long and frustrating day of travel, my parents and I arrived home after spending the week exploring the inside passage of Alaska and Canada. We left Philly early on July 2nd, and landed in Seattle around 11am pacific time. After catching a shuttle to the port, we met the magnificent Disney Wonder ship and one of our Disney Adventure Guides, Robyn. We got a couple of hours to enjoy the view of the Puget Sound from the ship’s deck while our state room was being prepared. 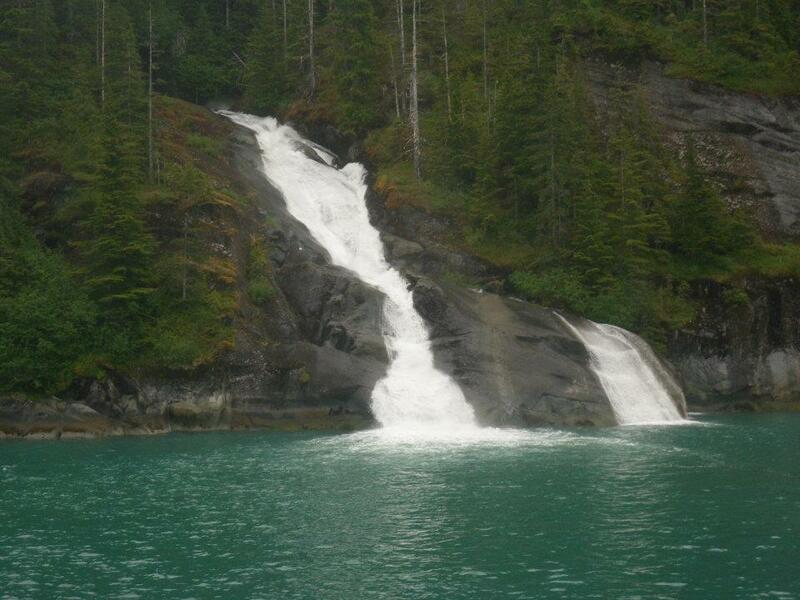 Later that evening, it was “bon voyage!” as the Wonder set sail for the Inside Passage! This was our third cruise as a family; we took two others, both on the Disney Wonder, when I was in elementary school. Those were 4-day Bahamas cruises, which were great fun, but now that I’m older, we wanted to explore a different part of the country where I could really appreciate the beauty of the land and the simplicity of the ports we visited. I don’t want to write a huge, long post that shares every little detail of our trip, so I will share the best highlights. I’m more than happy to share more if you ask! 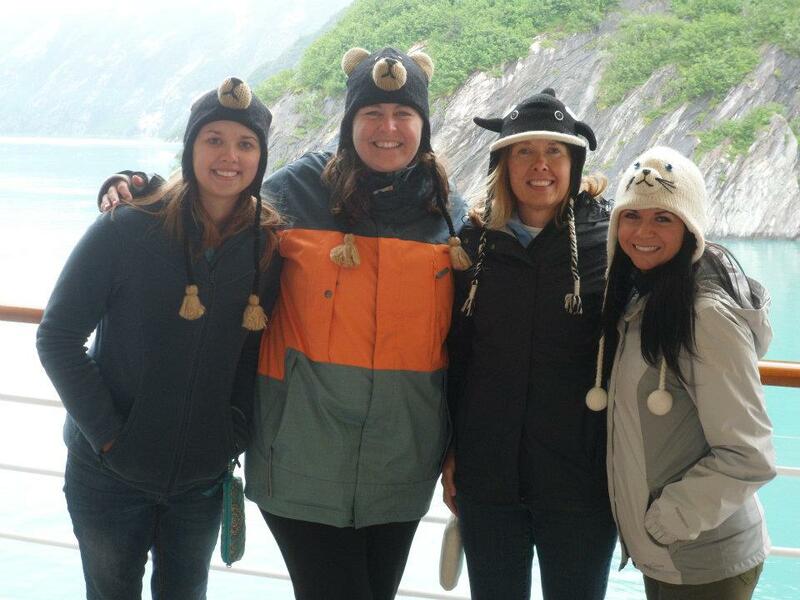 TRACY ARM: This was our first “stop” on the cruise. 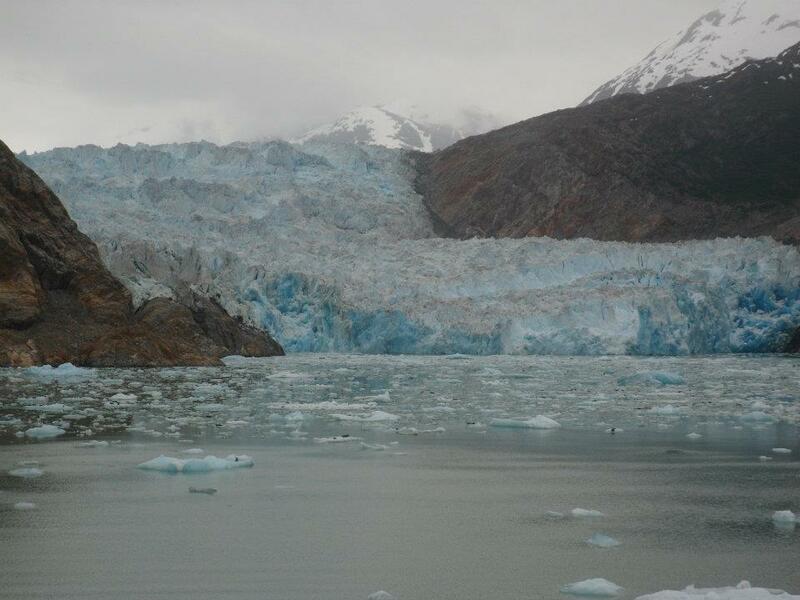 Tracy Arm is a series of fjords along the inside passage that ends with the Sawyer Glacier and its accompanying ice field. What amazed me most about this was the quiet beauty of the passage. The water was greener than summer grass and still as glass. 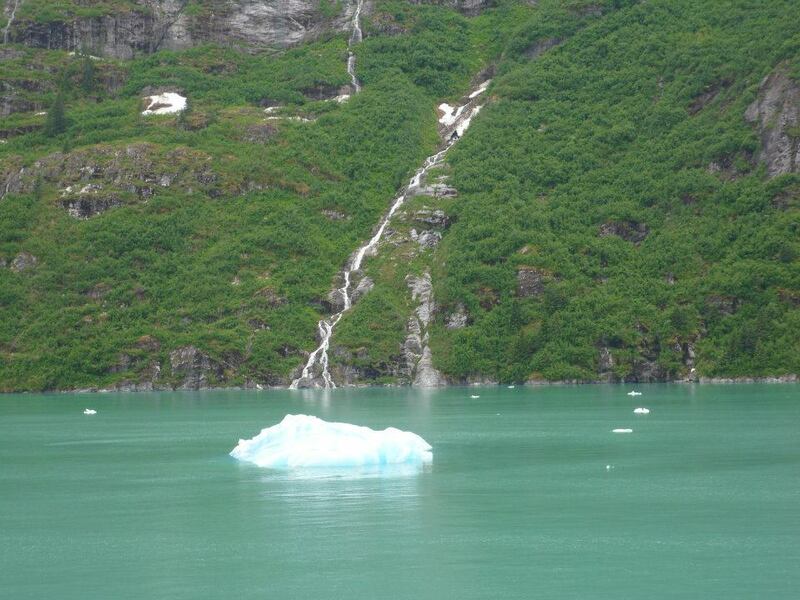 Icebergs floated along in the water; they looked stunning blue against the green water. If you looked closely, you could see a harbour seal chillin’ on an iceberg, or a bald eagle flying from island to island. It was worth being nearly frozen in the wind and light rain for the sights! ROBYN & KRISTIN: Our wonderful Disney Adventure Guides! They were so full of energy and smiles, and were always willing to tell us a story or share some interesting facts about the places we visited, or their past experiences working with Disney in LA. I’ll never forget Kristin’s story about how she met Johnny Depp, and how my dad made them both almost hysterical with a comment about one of our tours (Robyn and Kristin, if you’re reading this: “Hot Dog!”). The most awesome part? We all had these awesome animal hats. We even talked my mom into buying one, too. THE MEALS AND FOOD: Every night (except the last night, more on that in a bit), we ate dinner at one of three amazing restaurants on the ship: Triton’s, Parrot Cay, and Animator’s Palate. We had two servers that rotated with us each night: Sedat, from Turkey, and Nyoman, from Indonesia. They were both really great and always had smiles on their faces. Sedat even gave us a puzzle every night! Watch out, my engineering friends…I’ll be showing those to you once we’re back at VT! I tried to branch out and try some new foods during this trip. My favourite “new” food was elk. I had it the first night at Parrot Cay. I really didn’t know what it would be like, and all I knew about it was that it was red meat. It was incredible! Elk is very lean, and it tastes a lot like beef steak, but it’s not as fibrous as beef steak. I also tried reindeer and venison. Unfortunately, I couldn’t push myself to try any of the fish…I’m just not a seafood person at all. Aside from dinner, every morning at breakfast, they had this all-natural, low-fat yogurt. I know it sounds really plain, but it was delicious, especially with some almonds and strawberry compote on top! WHITE PASS RAILROAD: After venturing up to the Yukon Suspension Bridge in Canada, we took the White Pass Railroad back down to our port in Skagway, Alaska. 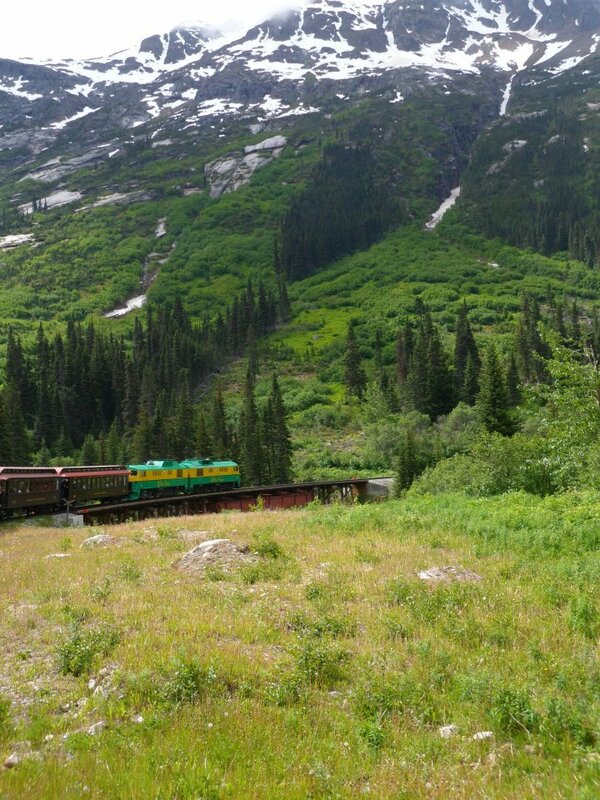 This train followed the White Pass, which many used during the Yukon Gold Rush of 1898. For a good chunk of the hour-and-a-half ride, I stood out on the platform at the front of the train car for the incredibly fresh air and breathtaking views of the mountains and falls. I don’t even know how else to describe it. It was just beautiful. ZIP LINING IN THE RAIN FOREST: It’s been on my bucket list for a few years now. Our last port in Alaska was the town of Ketchikan, which is one of, if not the rainiest city in the country. We took a bus ride into the rain forest, which is absolutely nothing like the rain forests you see in textbooks. I was a little nervous about zipping, but I was determined to at least give it a try before I turned around. I went all-out and chose to go on the Eagle Creek line, which is the more advanced line of the two (the other was the Bear Creek line). I had a little trouble breaking, or slowing down to land, at first, but after the second line, I got it down almost perfectly. Zip lining is the scariest but most awesome thing I have ever done. I think I would do it again, especially if I’m doing it somewhere it’s not raining and there’s some sun. 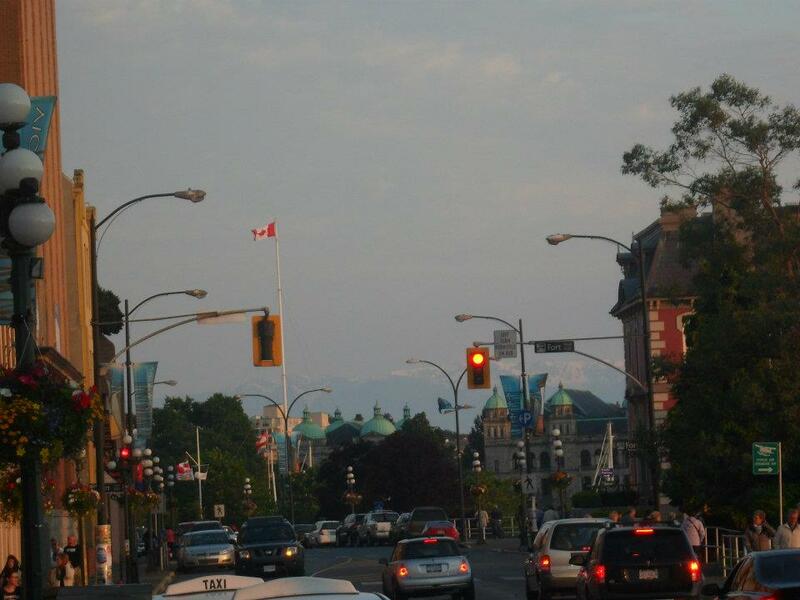 VICTORIA, BC: As a final stop before we returned to Seattle, we stopped in Victoria, British Columbia for a few hours. We were on our own, but we met up with Robyn and Kristin, and another family in our Disney Adventure group, and we went to this wonderful little place for dinner called The Local Kitchen. Robyn had been there before and suggested another visit. At her recommendation, most of us ordered their “fall-off-the-bone” BBQ ribs with mac and cheese. Oh my goodness. They are very true to their name! My fingers smelled like the maple glaze for a day after. The mac and cheese was so rich and creamy. I also learned that Canadians make their Shirley Temples with orange juice and lime with ginger ale instead of grenadine and cherry. I’m not complaining, though; it was still good! We had a little time to explore downtown Victoria after dinner. We couldn’t see much, but from what I could see, I want to go back. Downtown was really cool! If you look closely, you can see the snow-topped mountains in the background! Overall, our trip to Alaska and parts of Canada was a success! I wish I could tell all of my stories, because there are plenty to share! I will end by saying this: if you’ve never been to Alaska, go. It’s truly beautiful. And Seward was an idiot for buying and selling it so cheap. kingdom put her on the spot to choose a man for her betrothal, she refuses to sit and watch. The fiery redhead steps in and takes control herself. Little does she know that her next few steps would bring about a series of events she would have never expected. I had wanted to see this film since I saw the first preview on television. My family’s heritage is Scottish, so I was interested in that aspect, since the film is set in Scotland. 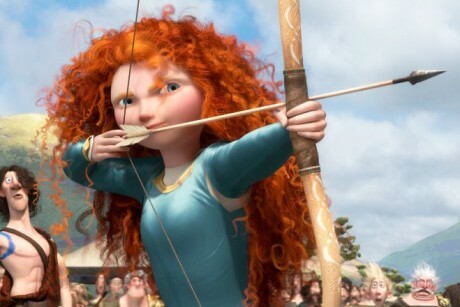 There was also something about Merida that really drew me in. On the surface, it was probably her flowing, thick locks of red hair. But beyond that, it was her boldness, her lack of reservations, her confidence…her bravery (hence, the title of the film itself). Too many times, females are depicted as subservient and weak, and I’m really glad to see movies changing some roles around…but that’s another post for another time. Nevertheless, Merida is a standout figure in so many ways. The Disney movies I remember from my childhood don’t have very many frightening or scary scenes. Mufasa’s death scene in The Lion King was super sad, but I don’t think I would go straight to frightening. I think Brave’s PG rating is fair. While there are no downright scary scenes, I do think some younger members of the audience might find a few of the fight scenes a little intimidating. I know that when I was that age, two giant bears fighting and clawing at each other would make me jump. The film is in no way dark, though, so no worries about nightmares or anything like that. Even amidst the more serious tones of the film, there were moments of comic relief. Merida’s three younger brothers–identical redhead triplets–were always in the middle of some mischief, especially if it involved dessert. Dining room brawl scenes are always entertaining, as well. Nothing short of the Disney standard; the humor appealed to the intended audience very well. I heard oodles of giggles after several scenes. Beyond the plot and story, the artwork, cinematography, and design were nothing less than Pixar perfect. All of the characters looked realistic (except I thought for a moment that the king could have been at least part giant), and they were voiced fantastically. I left the theatre feeling like I had to speak in a Scottish brogue for the rest of the day. Overall, I think Brave lived up to all of my expectations. Disney/Pixar never fail to deliver exceptional performances, and I’m excited about their upcoming projects: Wreck-It Ralph, which is due out this November, and Finding Nemo 3D, which will be released for a limited time September 14. P.S. I love that Disney is re-releasing its classics in 3D. Please do Aladdin and/or The Little Mermaid?